The Nissan Grand Livina facelift was introduced to the Indonesian market this week and as we reported earlier, the updated MPV gets new engine and gearbox options. The launch has confirmed that the new X-Tronic CVT transmission is only available on the revised 1.5 litre engine, while the 1.8 litre variant soldiers on with the existing four-speed auto ’box. A Nissan Motor Indonesia official explained that the older 1.8 litre motor had always been intended to use the conventional transmission, with no plans yet to offer it with a CVT. He also cites that the new, more efficient HR15DE 1.5 litre engine is the ideal powerplant for the MPV, at least for the Indonesian market, hence the decision to pair it with a new transmission. In Malaysia the pre-facelift Nissan Grand Livina uses either a 1.6 or 1.8 litre engine, both with four-speed automatic transmissions. We suppose the latter will stay on unchanged, but the question remains whether Nissan will adopt the new 1.5 litre/CVT combination for the more affordable variant. We’ve spotted the updated car here twice already, once in five-seat X-Gear form and the other in full Grand Livina MPV guise. Look out for a local introduction later in the year. For now, you can check out the new Livina range in our live gallery from Auto Shanghai 2013.
even if the 1.5 comes with CVT, it is still ridiculously underpowered. Better stick to the 1.8 with 4 speeder. at least got some useable power there. Downsizing engine is good. But not good for a 7 seater car. Unless turbocharge it. Sorry my Avatar is not coming out again. Anyway, I will never support a company whose CEO has called for high car prices and high car taxes at the detriment of the well being of 28 million people in Malaysia just for in support of more profits for Tan Chong Motors. Malu. On principal grounds, everyone should boycott Nissan until the CEO publicly apologises to 28 million people for his inconsiderate statement. how in a world you manage to get 200+ like in a new entry like this? did you go to Hogwards? 1.5 engine to carry 7 seater…another avanza on the road..struggling for more power if full onboard…wonder if there is people still want to buy this junk !!! Dont worry..Indonesian dont bother about power/cc.. Toyota did their Unser/Kijang with 1000cc and they sell well! i have Toyota Unser 1.8 Auto. Normal driving in city area…. 1 day RM15+ Petrol, feel like 3 liter car. hahaha….. I want NEW SYLPHY !!!! They must be joking. Even my City which is much lighter and smaller also not enough power to overtake cars. And they called this “All New”? Yap. All New! for Uncle and family car. 2 adults + 3 kids. Insight saya 1.3cc boleh tapau keta 1.6cc…. YESSS! Finally theres a statement about this car. 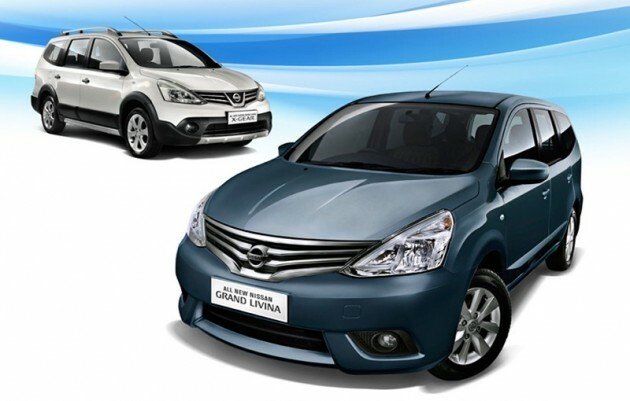 Nissan Indo called this All New Grand Livina. It supposed to say Face Lift. Another blunder in marketing gimmick language. am i see it wrongly? why the back looks so ugly?